In the present study, combustion of fuel/air in the three-region (compact) porous burner is investigated experimentally and numerically under a variety of the operating conditions. Temperature profiles on the burner centerline, pressure drop, and burner efficiency were found. Moreover, the effects of excess air ratio and thermal load were evaluated. In addition to the experimental work, a 2-D numerical modeling was carried out to find the details of flow in the burner. So, the continuity, Navier–Stokes, energy and chemical species transport equations were simultaneously solved and the heat release was expressed through a multistep kinetics mechanism. The solid matrix was considered as a gray medium, and the finite-volume method was employed to solve the radiative transfer equation for the computation of the local radiation source/sink of the solid phase. The numerical findings were validated versus the experimental results for the temperature profile of the burner centerline and NOx emission. Here, unlike previous works reported in the literature, the fluid flow and heat transfer inside the heat exchanger was simulated in detail. Moreover, the efficiency of the heat exchanger was measured under several working conditions. 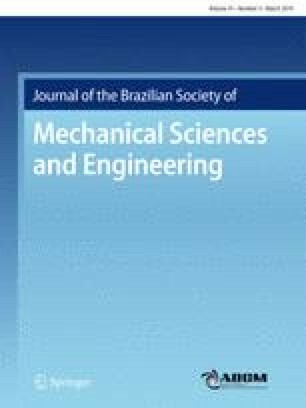 Technical Editor: Fernando Marcelo Pereira, PhD.